Ready to get buttered up and smooth this holiday season? 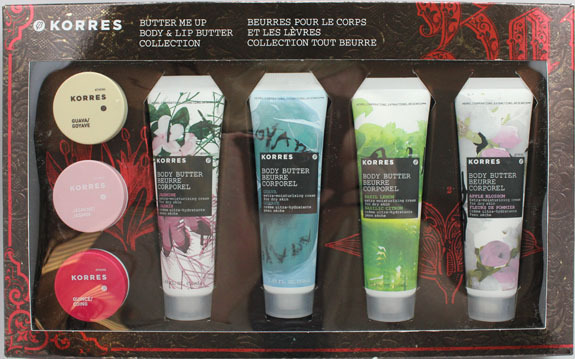 Then look no further than the Korres Butter Me Up Body & Lip Butter Collection! This cute little gift set features four Body Butters in scents Jasmine, Basil Lemon, Guava and Apple Blossom. It also comes with three full size Lip Butters in Guava, Jasmine and Quince. These Body Butters come in really pretty 1.69 oz tubes, each with their own design. They are the perfect size to put in your handbag I found. They are technically called Body Butters, but I use them for my hands since I apply hand lotion left and right all day long. The richer, the better! The good thing is these are rich enough to leave your hands feeling super soft and moisturized, but not greasy or slippery. It only takes a minute or so to fully rub into your skin. They contain shea butter and avocado oil to help keep your skin soft. Jasmine is a nice jasmine scent, not too strong. Apple Blossom smells like crisp apples and roses. Really nice scent, might be my favorite one. Guava is kind of a subdued fruity scent, maybe a little spicy and musky. Basil Lemon is bright lemony scent with a hint of basil. Smells really fresh and great. Another of my favs. 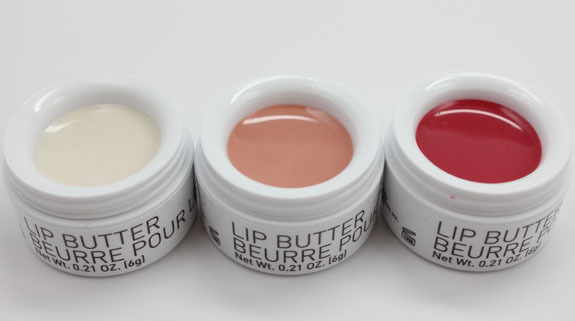 The Lip Butters come in plastic pots featuring the color of the product inside. They have shea butter for moisturization and feel very comfortable and non-sticky on the lips. All of these are just very slightly scented. Guava basically goes on clear. Jasmine goes on with just a hint of pink. Quince gives you a nice pink/red tint. I like these because they feel really nice on and don’t have a weird taste or smell. Definitely moisturizing as well. The one thing I don’t love is the containers. I prefer lip products like this in a tube so I don’t have to open a cap and then dip a finger in. It’s just less sanitary that way. Overall: This is a nice little collection I think. I love all the Body Butters especially and have been using them a lot in the last week. Perfectly handy to travel with also. The Lip Butters are nice as well, I just wish they came in a different form. Remember they are full sized though (0.21 oz), so that’s another positive. Pricing: $38.00 ($76 retail value). What do you think about this collection? Have you tried any of the Korres “Butter” products? Note: Korres is cruelty free. Fortune Cookie Soap Grinch Themed Winter Soap Box! i bought a Korres guava body & lip butter set as a black Friday promo from Sephora last year. i went through the lotion in a few weeks – i still have the lip butter. just like you, i prefer a tube over a tub. i go bananas when i get stuff stuck in my nails! Yeah tubes are just less messy and more sanitary! The Basil Lemon and Apple Blossom scents sound AMAZING. I have very dry skin on my body in the winter – despite living in a warm place – and I’ve been looking for good portable lotions to keep with me for my arms, hands, etc. They are really fabulous scents! Haven’t tried any yet but they seem lovely! 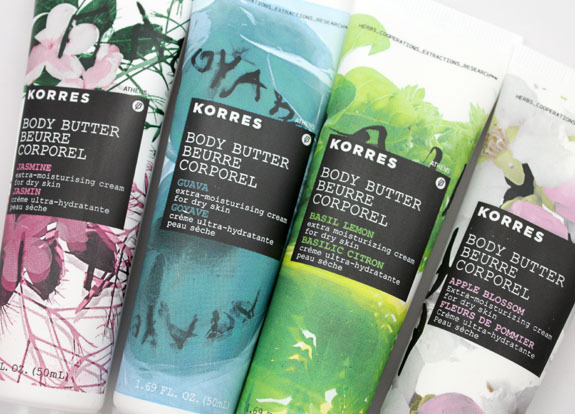 I’m a big fan of Korres body butters and stocked up a few years back when they were discontinuing some of my favorite scents. Apple Blossom is one I haven’t tried yet! Never tried this brand before, but I rarely say no to mosturizers! and if they smell nice is even better! I have the full size of Apple Blossom, and my husband goes nuts over it (in a good way)! This is definitely on my list! 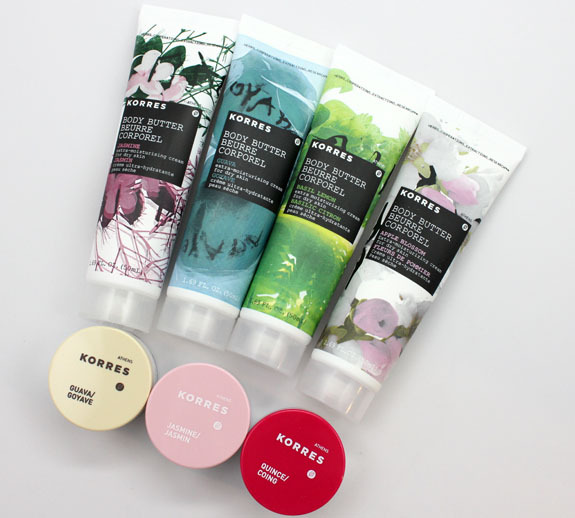 I’ve been wanting to try Korres products for a while now. I don’t mind the pots. I think they’re cute 🙂 I usually use those types of lip products at home though, not when I’m out and touching all kinds of stuff. So sweet gift box, love it! Totally agree about preferring a tube rather than jar for lip products. I actually really loved the Jasmine scent and thought it was a great product (not a miracle hydration cure like many were saying, but definitely a solid lip balm). But it took me a while to use it up, because I just didn’t reach for it that often due to packaging. I will have to pick this up! I love the lip butters but just like you, I am not a fan of the packaging. They do have some sort of similar lip product in a tube but I haven’t tried that out yet.